Bachelor and Bachelorette parties. We didn't want to plan the normal ones seeing as though our 20s, mine especially, were spent in a Bachelorette party type daze. Getting wasted wasn't high on our priority list. So we decided to do what any bride and groom do on their wedding morning and spend some time swimming with fish and flying in the air. Jeff, his dad and his guys went on a snorkeling adventure. Their trip with Sea Quest Adventures brought them to two different snorkeling spots where they saw sea urchins, an octopus and schools of fish. Their boat ride led them to sea caves and they were lucky to coast along the ocean accompanied by a pod of dolphin. 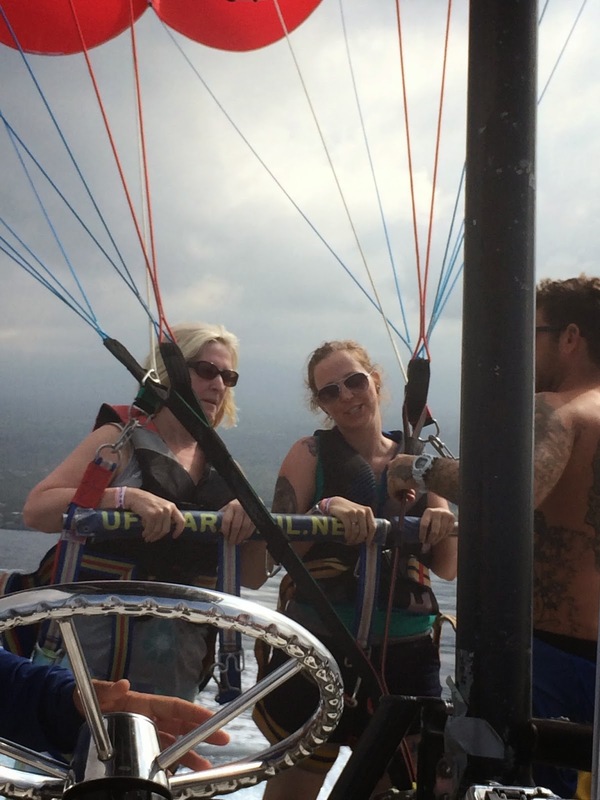 Me, my mom and my ladies decided on a parasailing adventure. 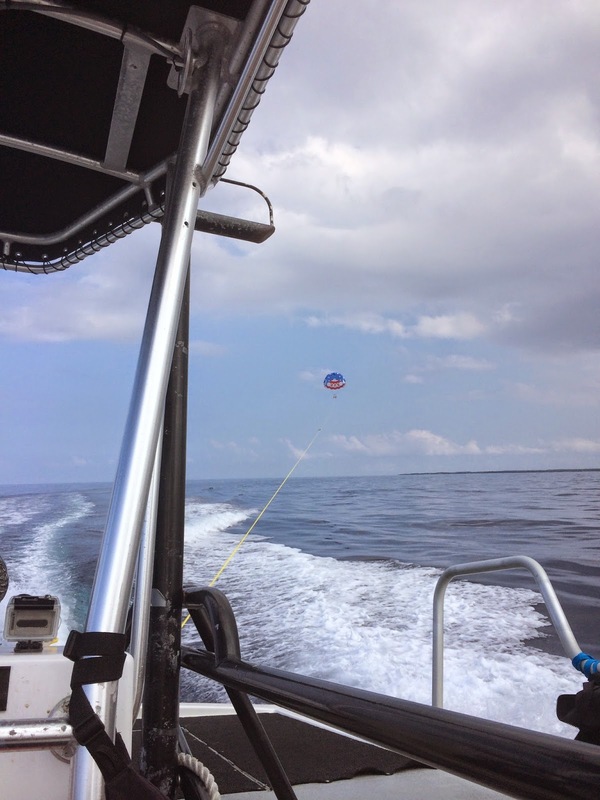 We zipped across the water, we flew in the air, we laughed. Some of us were even honored enough to see a whale off in the distance. Our hair was a mangled mess from the wind but after the adventure with UFO Parasail, we were headed off to get our hair done.